Itankusun Wambli, or Albert Afraid of Hawk (ca. 1879 – 1900) joined Buffalo Bill Cody’s “Wild West Show,” a way for young Lakota men whose traditional livelihoods has been disrupted to make a living. The show arrived in Connecticut in late June of 1900. At that point, nearly 50 members of the show were ill after eating canned corn and contracting botulism. Alfred Afraid of Hawk would die of food poisoning in Danbury, Connecticut, far from his home. The Connecticut State Archeologist’s responsibilities include oversight of excavations and dis-interments. 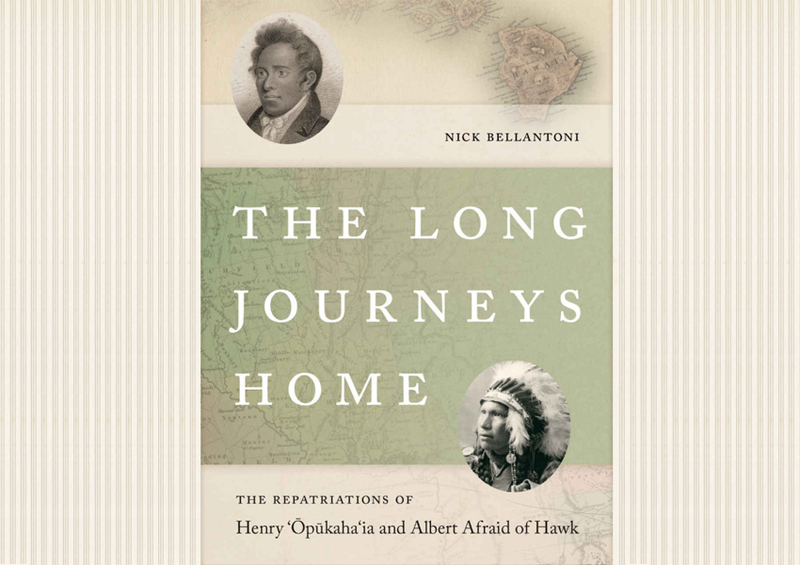 Bellantoni was contacted by descendants of both young men who wished to bring them home. Bellantoni will share moving stories of repatriating the remains of these two young men. Cost of this program is $6.00 for adults, $5.00 for seniors and students and $4.00 for Windsor Historical Society members. The book will be available at the program for $28.95, and Dr. Bellantoni will be happy to autograph copies. For more information or to sign up for the program online, visit http://bit.ly/WHSJourneyHome.